It is impossible to open the business pages without some reminder of the huge importance of patents to the telecoms industry. This largely reflects the changes in the industry and the transformation of mobile devices so as to challenge the role of the PC, cameras and even books. The government’s proposal to introduce a ten per cent rate of corporation tax for patent-related profits is designed to encourage investment in innovation in the UK, and further highlights the opportunities for those who get patent value right. This could mean that some businesses (perhaps SMEs) should now take a greater interest in filing patents, and others will want to review their established R&D, patent management and transfer pricing arrangements so as to make best use of available tax regimes internationally. Patent value is now more important and complex than ever as giants like Apple and Samsung battle for market share, not least because patents can provide competitive edge by delaying others’ introduction of attractive user features. Also, the relative strengths of patent portfolios will determine the net royalty burden when competitors enter into cross-licences. These cross-licences are needed because of technology standardisation and the existence of multiple patents that are essential in order to implement those standards. This complicates the application of the Patent Box in the telecoms sector, because the contribution to profits from a company’s own patents is not always easy to discern. What all this means is that patent battles are not just seen in court but also in the auction house. Old-school technology businesses like Kodak are seeking to pay off debt by offloading under-exploited patents that could have strategic value to others as bargaining chips. Speaking of Kodak, it is worth noting, in present economic circumstances, that the Patent Box regime contemplates the making of profits, albeit particular kinds of profits from prescribed activities calculated by making prescribed deductions. Where losses arise from these calculations, businesses should carefully analyse how to make use of Patent Box (if at all). Patent Box will allow companies to apply the reduced tax rate to relevant profits from the sale or licensing of patents, the sale of products that owe value to patents, and compensation won in patent litigation. The regime is generous when it comes to products, because there need only be one European or UK patent underlying the product in order to be able to include the whole of the income from the product (and, potentially, accessories, although this is not clear) as the starting point for the calculations. Perhaps controversially for the telecoms sector, however, this contrasts with the approach taken to services businesses: if services income is generated with reference to patent rights, an intra-company royalty arrangement must be established and the reduced tax rate can only be applied to the royalties earned for licensing of the patent to enable the services. The draft legislation requires companies to have undertaken technical development if they are to enjoy the beneficial regime, even if they are purely licensing businesses. This should have the effect of excluding those companies that acquire telecoms patents purely for licensing purposes (sometimes known as ‘trolls’). However, it is open to interpretation whether the development requirement is satisfied for example by acquiring patents and then participating in the development of a relevant standard – if so, patent trolls might still qualify. Where the tax paying company is part of a group, the development work can be done by another group company as long as the claiming company manages the patent portfolio. This latter point may have implications for technology businesses that outsource the exploitation of patent portfolios. 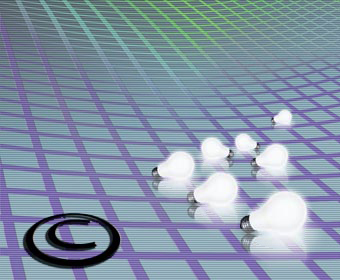 The extent of required development, and of the requirement for involvement in patent management, will clearly be open to interpretation and large businesses will also need for example to consider whether to manage all intellectual property in one subsidiary or create a standalone patent holding arrangement. The distinction between patents and other intellectual property (such as software copyright or trade marks) is another important factor, because relief will be limited to profits from patent rights. This contrasts with similar regimes in other countries, such as Luxembourg, which do include income from other intellectual property. Under the UK regime, the calculation of attributable profits involves a deduction of a notional royalty for the use of ‘marketing assets’ that include for example brands. This could be particularly significant for the telecoms sector, where the contribution made by particular patents is sometimes difficult to gauge. Unlike the pharmaceutical sector, where one patented compound will often comprise the entire product, the numerous patents for, say, features of a mobile handset, often bring only small incremental gains. Consumers will often be entirely unaware of the contribution made to the end product by those patents. So, for companies that do opt in to the UK regime, it will be important to ensure maximum input to the Patent Box in respect of income that could be attributed to patents, as opposed to excluded features that may be more visible to users. The consultation on the draft legislation closes on 10th February. This is potentially a highly attractive new regime, but it has not been developed with the telecoms sector particularly in mind. To take best advantage companies will need to review not only their tax and transfer pricing arrangements, but also the terms of joint ventures, licensing arrangements, business disposals and acquisitions, and plans for group reorganisations. Savings could be considerable, but planning must begin now in order for arrangements to be in place when the regime comes into operation in 2013.